As a student at the University of Illinois at Chicago, I vividly remember trying to avoid using the elevated walkways when it rained. 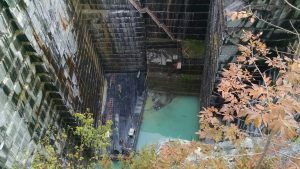 It wasn’t because the convenient web that connected certain lecture halls, the main Forum (where the cafeteria was housed), the Science and Engineering Labs, and even the parking lots and athletic fields didn’t provide protection from the rain, it was because the hunter green granite used was as useful as a water slide. Crushed granite is often used for walkways in parks or other frequently-used paths like roadways and patios because it’s inexpensive, and is easy to shovel and spread. UIC’s elevated walkways were made using 10 by 20 feet and one-foot-thick Minnesota granite slabs 20 feet above the ground. This was perhaps not the best choice, since it became dangerously slippery when wet. Today, only memories like mine exist, since the walkways were removed in 1999 to make way for a greener, more welcoming campus environment. What happened to all that granite once the walkways were demolished? 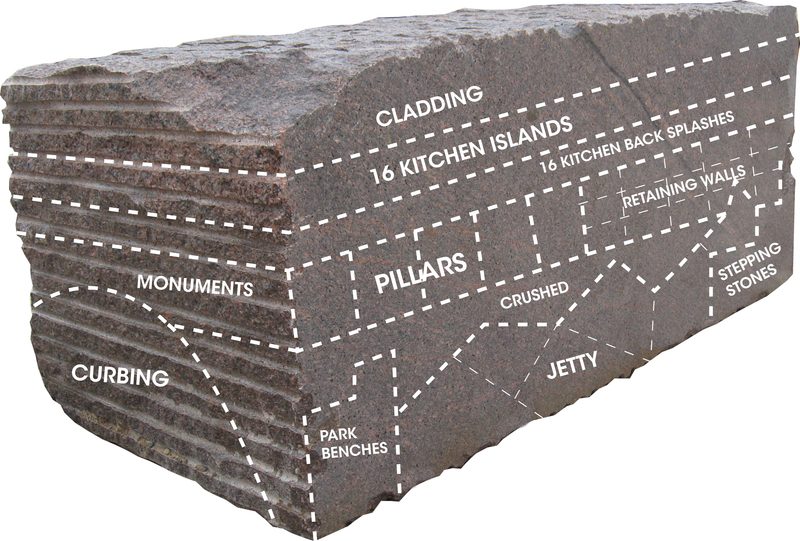 Records and anecdotal evidence suggest the granite damaged during the demolition was donated to the City of Chicago, which in turn used it to build an artificial reef in Lake Michigan, at 57th Street and Lake Shore Drive, about eight miles south of the campus. The artificial reef would help with erosion issues. Diagram of a stone block. Photo courtesy of Coldspring. The beauty of natural stone is there is always a use for it, even when it’s past its prime or its need changes. UIC’s former walkways found a second life as an artificial reef, but they just as soon could have ended up in the landfill. 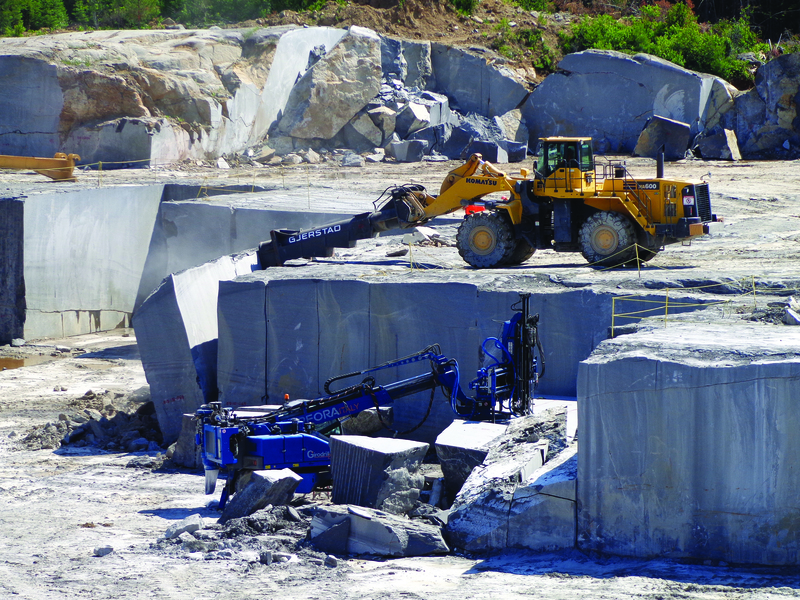 Some businesses, like Minnesota-based Coldspring, have an entire sustainability mindset and are working to be environmentally-responsible stone producers. Coldspring’s 2020 initiative, for example, is to use everything it extracts from the earth which directly impacts the quantity of land affected by extraction and processing. It hopes to achieve this goal by the year 2020. 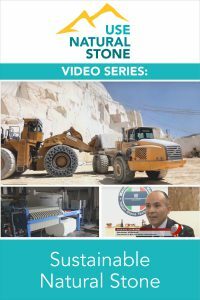 The company recognizes that while stone is a natural resource, the way it is quarried, processed, transported, and used has a significant bearing on the environment. 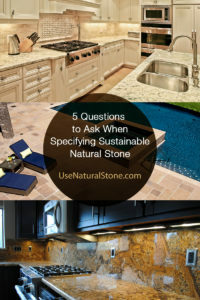 To help with their goal, they’re enlisting architects and designers by taking the time to educate them on how certain designs can influence how much of the stone they can use, according to Coldspring. 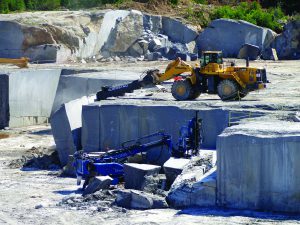 It’s important to note that quarrying natural dimension stone is more efficient and offers higher yields when compared to mineral extraction. Still, small improvements in yield and making sure every stone removed from the ground can be used upon extraction improves environmental performance. What doesn’t get used as larger pieces can be crushed and used in a variety of different ways, says Coldspring, from rip rap for bridges to cremation gardens. 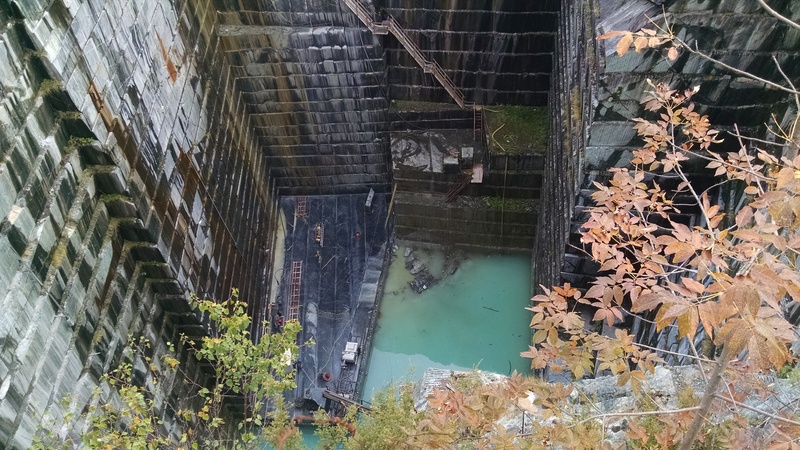 What’s important to consider is that the use still has to be structurally sound. 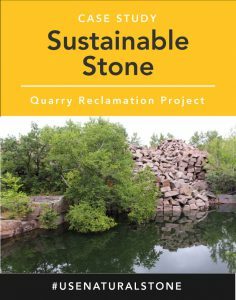 One cannot simply take stone used for another project, crush it, and reuse for anything. Riverside Roundabout. Photo courtesy of Makena Hunt supplied by Coldspring. 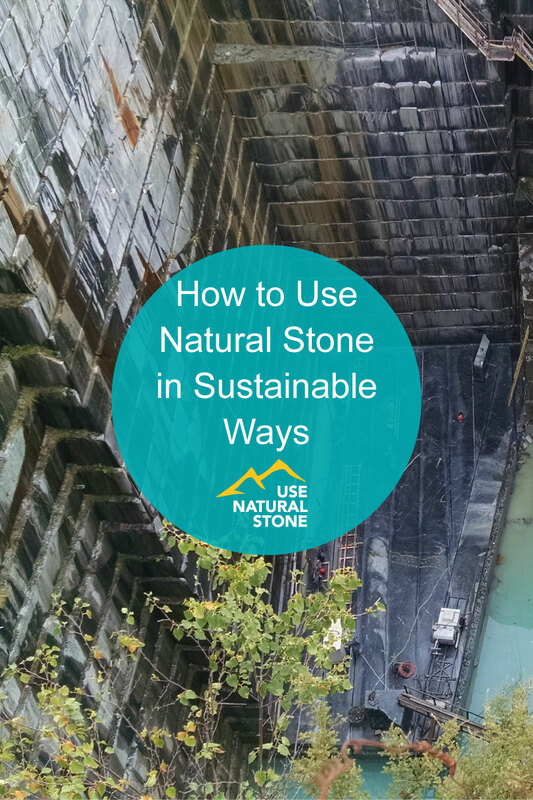 Much has been discussed about how to be mindful when quarrying or using stone, but using natural stone as a way to help the environment isn’t as top of mind. The Riverside Roundabout, a recent Coldspring project, allowed the company to participate in a true zero-waste project. The first modern roundabout in Los Angeles, the roundabout was designed to help control smog and exhaust impacts on surrounding residents. 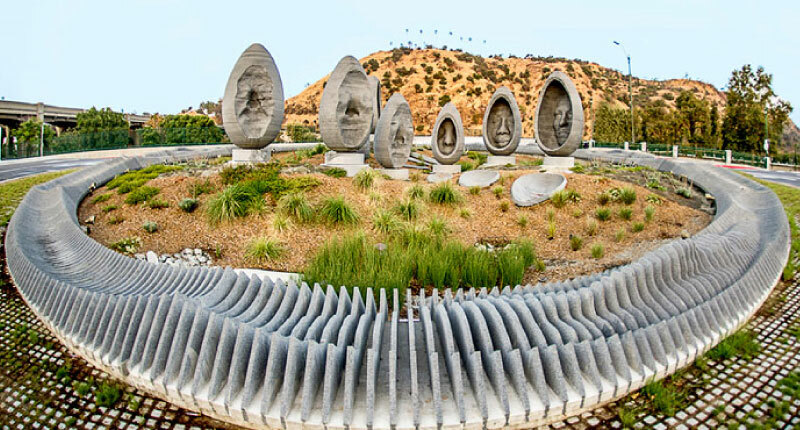 The centerpiece of the roundabout, designed by Greenmeme Art & Design Studio, provides an artistic experience through nine egg-shaped stone sculptures constructed of Academy Black® granite from California. Measuring 8 to 12 feet tall each, all parts of the granite slabs were used to create the sculptures, which feature the faces of individuals from the community, randomly chosen throughout two years. In addition to the egg-shaped sculptures, there is a stone wall around the perimeter and part of the reason it was added was because the team wanted to use all of the natural stone extracted for this project. The roundabout serves as a stormwater bioretention landscape with the capacity to capture and treat a 10-year rainfall event (500,000 gallons) off an adjacent bridge and roads, according to the project’s reported details. The system also includes a 25,000-gallon cistern supplying a water feature as well as a solar tracking photovoltaic system powering irrigation, lighting and the artwork. The Riverside Roundabout was a 100-percent sustainable project.